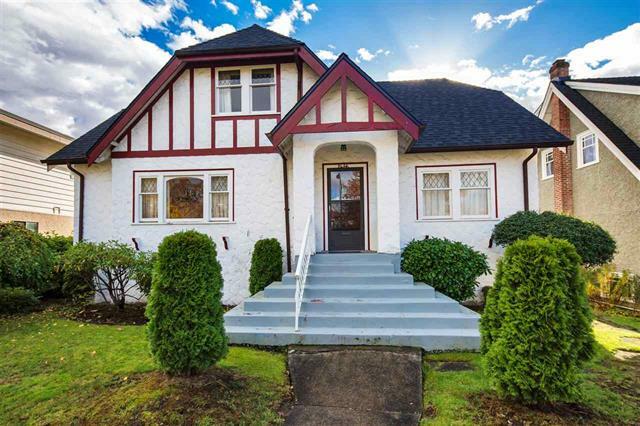 Located in the highly sought after Kits area along some of the prettiest treed streets in Vancouver! This bright & generous home has an abundance of potential and character throughout. This pristine residence offers hardwood flooring, coved ceilings, leaded glass window and wood burning fireplace. The main floor boasts a stunning living and dining area, perfect for entertaining. As well as featuring 2 bedrooms and a 4 piece bathroom. Upstairs offers a model floor plan with an additional 3 bedrooms, nook and lots of additional storage. As an added bonus this ideal family home is walking distance to shops, restaurants, parks, schools and transit routes! OPEN HOUSE SUN NOV 11th, 2-4PM.